I know I say this often, but I really can’t believe that this pregnancy is almost to it’s end. In some ways, it feels like I just announced our growing family and in other ways, it feels like I’ve been pregnant for years. While we’ve still got a month-ish to go, I’m already feeling a little nostalgic for this time. While both first and second trimesters had their high points, I think this is my favorite period by far. It’s so incredible getting to feel this little baby move on an hourly basis and I feel an incredible connection to him already. Maybe it’s because I get to meet baby so soon, but I’m really loving this time in my life. We’ve finished our natural birthing classes, the nursery is almost done, I’ve stopped taking on new clients and made my final work to-do list earlier this week. I still don’t have a clear plan on what my maternity leave will look like, but I’m looking forward to winding down and soaking up this time as much as possible. Don’t worry friends, this space will still be active. 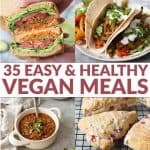 I’ve asked some of my favorite blogger and RD friends to share intuitive eating posts with you and have been working on quite a few recipes that will debut in the coming months. 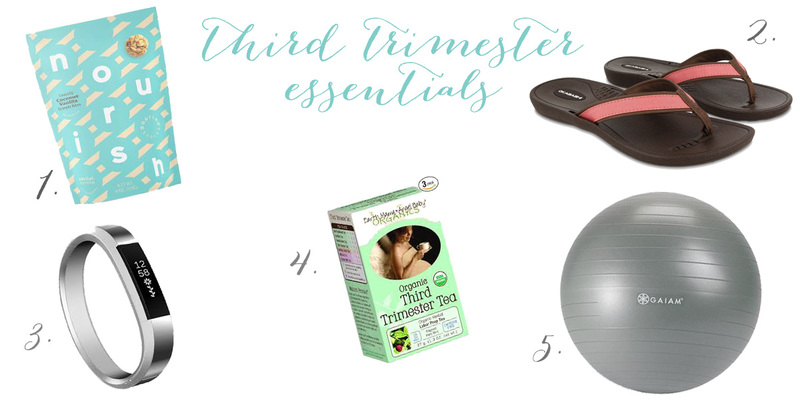 As I shared in the first trimester, these are the things that I’m currently loving now. My appetite is all over the place these days. Some days I wake up completely starving and other days it seems like I’m full from just a few bites of food. I suffered from pretty crazy heartburn up until recently, which threw another wrench in how I approached eating. One thing that’s stayed constant is the need for quick snacks. I had so many plans to keep a drawer filled with homemade granola bars and energy bites, but so far that hasn’t happened. And, when so many snacks these days are not only delicious but packed with healthy ingredients, I don’t feel the need to add this to my to-do list. I’ve been loving the new Nourish Snacks granola bites, created by fellow RD (and all around amazing woman) Joy Bauer. They come in both crunchy and chewy varieties, with coconut and blueberry apple being my favorite. Oddly enough, I’ve been almost chocolate adverse this entire pregnancy. I’m really hoping that changes once I deliver, but for now- bring on anything with coconut, berries and citrus! Find ’em at Target. 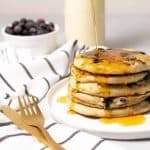 These bites have been a lifesaver on mornings when I wake up famished and need a quick snack before I have time for breakfast. I plan on stocking my pantry with them after baby arrives as I’ve heard that insatiable hunger only increases with breastfeeding. My feet are huge. Well, I suppose everything about me is larger these days. Being very pregnant in the summer is somewhat of a blessing, I basically rotate between a handful of light dresses and don’t have to worry about buying bigger versions of pants, boots and coats. For that, I’m very thankful. The downside? I’m pretty much always hot and swollen. So much about being pregnant is amazing, but this isn’t one of them. After wearing my old flip-flops down to nothing earlier this summer, I was on the market for a new pair. As I’ve mentioned a few times, I’ve been trying to be more conscientious on what I buy. As an avid listener of The Minimalist Podcast and after seeing The True Cost and reading more about the implications of fast-fashion, I’m much more choosy in not only what I buy but where I buy it from. Well, these Okabashi flip-flops are not only made in America (from start to finish), they are also made from a plant-based material making them recyclable and biodegradable. Yay for adorable flops that aren’t made from leather or hard, painful-to-wear plastic. When you’re done wearing them, send them back to the factory and they can recycle them for you. Plus, they’re cute and so comfortable! My very pregnant feet are so happy that I found these, and I plan on wearing them long after baby comes. I picked up the Indigo style in coral and swear I get complimented on them every week. My goal each day has been to walk at least 10,000 steps. Besides the occasional yoga, it’s been the only type of exercise that I’m able to do on a consistent basis. I gave up running and other intense sports at the beginning as they weren’t jiving with where I was at and what I needed at the time. But walking? Even on days when I’m completely wiped, I feel so much better after a little activity. My mom bought me my fitbit after our Italy trip last Fall and I LOVE it. Honestly, I didn’t think it was something that I would enjoy since I dislike most other fitness/nutrition counters, but I wear it every.single.day. Each morning I go on a nice long walk first thing, catching up on podcasts, calling friends and occasionally walking BL to work. It’s been a great way to enjoy ‘me time,’ in the same space that running used to provide. While I don’t need a fitbit to get this done, I love having the accountability of being active every day. Plus, my midwife keeps reminding me that walking is helpful for labor, a thought that gets me up even on rainy days. I’ve heard mixed reviews from friends about drinking red raspberry leaf tea in your third trimester, but since my midwives recommended it, I’m going for it. Same goes for evening primrose oil, a capsule of which I take nightly. Both are thought to make labor easier, which is on the forefront of my mind these days. I knew I wanted to have a natural birth since before I got pregnant. After consulting with several friends who have done both a natural and medicated birth, all of them recommended the natural route. Additionally, I loved the idea of being fully present, able to move around, and intuitively trust that my body knows what it’s doing. But, that doesn’t mean that I’m not a little scared of what’s about to come. Therefore, anything that promises a faster, easier labor, I’m taking. Even if it doesn’t work the way it claims to, it’s pretty delicious tasting. I like the tea both hot and iced, especially with the addition of mint. 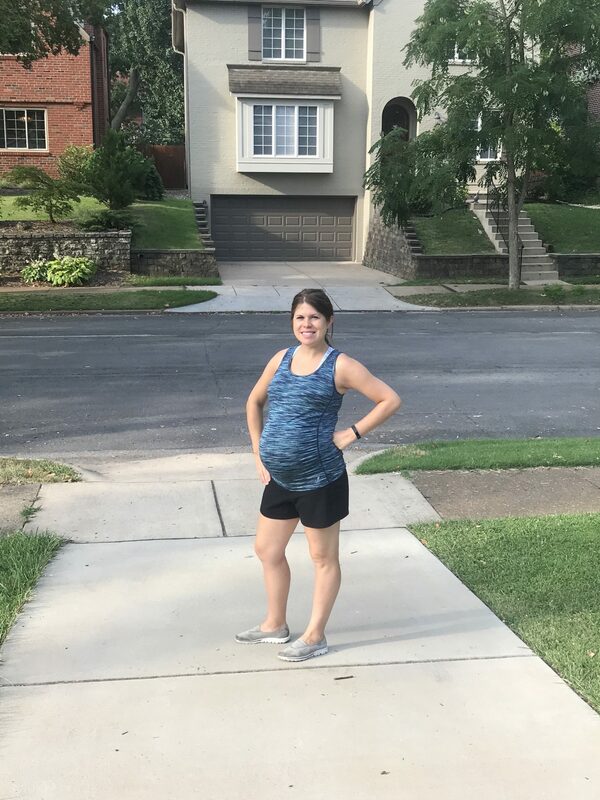 I resisted getting most items that friends recommended to me for the third trimester (ie pregnany pillows) as I felt like it was a waste to use something for such a short period of time. So, I was hesitant on the idea of getting an exercise ball for the same reason. After using one in our birthing class, we stopped by Target that same night to pick one up. OMG. It’s amazing. I sit on it nightly to help open and relax my hips, drape my belly over it when I need to release my back and use it as a support for cat/cow when I can’t get all the way to the floor. I’ve had a lot of lower-back pain over the past few weeks and using the birth ball has helped tremendously. I also use it to prop up my feet at my desk to help with swelling. My nightstand looks like a community library, which should come as no surprise. These are the books and podcasts that I’ve been loving. Magical Beginnings Book: The minute I realized that Deepok Chopra authored this book, I knew I would want to read it cover to cover. It weaves together the wisdom of Ayurveda with the latest in prenatal research. I especially love the chapter for Dad’s role in childbirth and the numerous exercises to prepare your body for birth. Ina May’s Guide to Childbirth: I didn’t know who Ina May was until our birth class instructor continued to reference her by name. The midwife among midwives, Ina May’s book is broken into two sections: birth stories from other mom’s and her guide on natural birthing. I read a birth story or two nightly before bed; I love tapping into other women’s experiences and try to picture myself as them as I read their tales. The Womanly Art of Breastfeeding: I signed BL and I up for a three hour class on breastfeeding, to which he was completely dismayed. Why do we need a class? Don’t you know what to do? Um, no. And frankly, I left class with even more questions then I had going in. My MO is pretty constant: if I don’t know something, I want to read about it until I feel comfortable. Hence the many, many books on my bedside table and my endless google searches. This book was recommended to me by my doula and one I know I’ll continue to reference well after baby is born. Calm App: Blame it on hormones, nervous energy or excitement, but I’ve been sleeping absolutely terrible the last few weeks. I rarely sleep for more than 3-4 hours at a time, which I swear is my bodies way of preparing for a newborn. A friend recommended this app to me, and it’s become a staple in my nightly routine. While I love (and still use) the Headspace app, Calm has been helpful in relaxing my body and getting me in a better space for sleep. Healthy Births, Happy Babies Podcast: This weekly podcast has interviews with various experts in prenatal and pediatric care. While I don’t agree with all of their experts, they have some great interviews and insights into all things pregnancy and baby! Pea in the Podcast: This one was just recently introduced to me by a fellow pregnant friend and so far, I really like it. While I’ve only listened to a few episodes, it has a similar feel to the one above. Lots of advice from momma’s, midwives, doctors and doulas. Ok, your turn! Give me all your advice and thoughts. For those of you who cloth diaper, any tips? We went to my friend Christina‘s house last week to check out her cloth diapers, learn the difference between the various options and how she makes homemade wipes! I’m oddly excited for this part, though I have a feeling that will wear off quickly. Either way- I wanna know it all. The good, the bad & the ugly.